You have heard many times the term SIP. What is SIP of a Mutual fund? SIP is actually a Systematic Investment Plan of investing in Mutual Fund. It is specially designed for those who aim to build wealth over a long period and want a better future for him and their dependants. The investment in a Mutual fund can be done in two ways. First way is one time payment i.e. making payment to a fund at once and gets the units of the fund as per the Net Asset Value (NAV) of the fund on that day. A person wishes to invest in a fund Rs. 24,000/- . On the day of Investment, the NAV of the fund was Rs. 10/-. He gets 2400 units @ Rs. 10/- per unit. 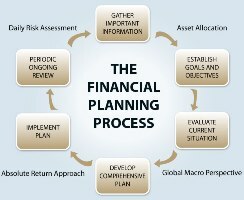 The other way of investment is making payment to the fund periodically, which is termed as Mutual Fund SIP. When you commit to invest a fixed amount monthly in a fund, it is called as Systematic Investment. It is actually beneficial for those investors who wish to invest a large amount in a fund and wishes to create a large chunk of wealth for long term but due to financial constraints are able to do so. The SIP provides them a way to invest in the fund of their choice in installments. Eg. A person wishes to invest Rs. 24000/- in a fund but due to other obligations, it is not possible for him to invest such an amount in a fund. He takes the SIP route and contributes to the fund Rs. 2000/- monthly for a year. At the end of the year, he’ll have invested Rs. 24,000/- in the fund. When the NAV is high, he will get the fewer units and when the NAV is low, he’ll get the more units. So, he’ll get the benefit of averaging through the SIP route. So, at the end of the year he may get more units as compared to the units he’ll get through single investment. 1. SIP can be started with a minimum investment of Rs. 500/- per month or Rs. 1000/- per month. 2. 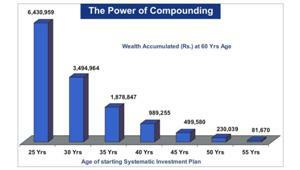 It is good and effective way of creating wealth for long term. 3. ECS facility is available in case of Investment through SIP. 4. A small withdrawal from the account doesn’t affect the bank balance of an individual as compared to a hefty withdrawal. 5. It can be for a year, two years, three years etc. if a person at any point of time couldn’t be able to continue its SIP, he may give instructions atleast 25 days before to the fund house. His SIP be discontinued. 6. All type of funds except Liquid funds, cash funds and other funds who invest in very short fixed return investments offers the facility of SIP. 7. Capital gains, if applicable, are taxed on a first-in first-out basis. 8. As the investment made through SIP are not at one time. Some units bought at high price and some at low price, so chances of making gain through SIP is higher than the one time investment. In short, SIP is a simple and effective way to create wealth but to create such wealth, one should think about the investment in SIP for a period of atleast for time frame of three years because it pays to invest in a longer run.